Bryan Stearns, a PhD student in CSE, received a College of Engineering Distinguished Leadership Award for his outstanding leadership and service to the College and community. For the past year Stearns has served as President of the Computer Science and Engineering Graduate Student Organization (CSEG), whose membership comprises the entire body of over three hundred CSE graduate students. Its leadership aims to make life easier for the students by helping them make use of department resources, connect at social gatherings, and keep life in the Beyster building comfortable. Stearns' duties as president include close interaction with the department staff, advocating for student needs and course requirements, and overseeing the group's annual budget. Within that role he has worked to realize his vision of bringing together a community from the students that surround him, and to increase awareness of CSEG and what it has to offer to CSE grads. Some of CSEG's long-running traditions and functions include hosting Wednesday social hours for grad students, faculty, and staff to meet and mingle, running Thursday game nights, organizing monthly social outings around the area, and providing liaisons for grad students at faculty meetings. This year, Stearns and the other leaders started several new initiatives in CSEG to help students expand their network. They've made the game nights and social hours Rackham-wide and invited grad students from around the campus, revived CSEG intramurals after a hiatus, and published a full grad student directory to the CSE website (a very popular request from students). During his term, Stearns also created a new community lunch program with the College of Engineering to bring together graduate students from different engineering departments. 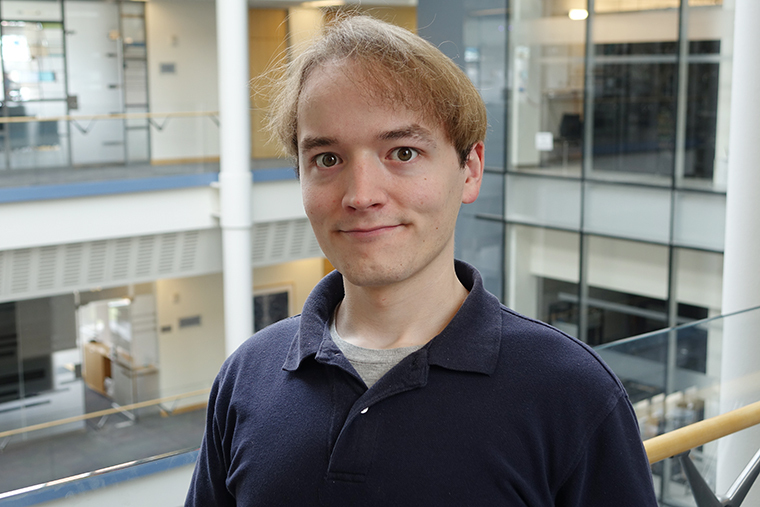 Stearns is finishing the third year of his PhD, working with Prof. John Laird on cognitive architectures and artificial intelligence. This work is at the intersection of cognitive science and computer science, attempting to understand both how the mind works and how an understanding of intelligence can aid real-world applications. His focus is in modeling levels of composition in learning, and in defining the most basic building blocks needed for a machine to learn the range of ideas and skills that can be learned by humans.